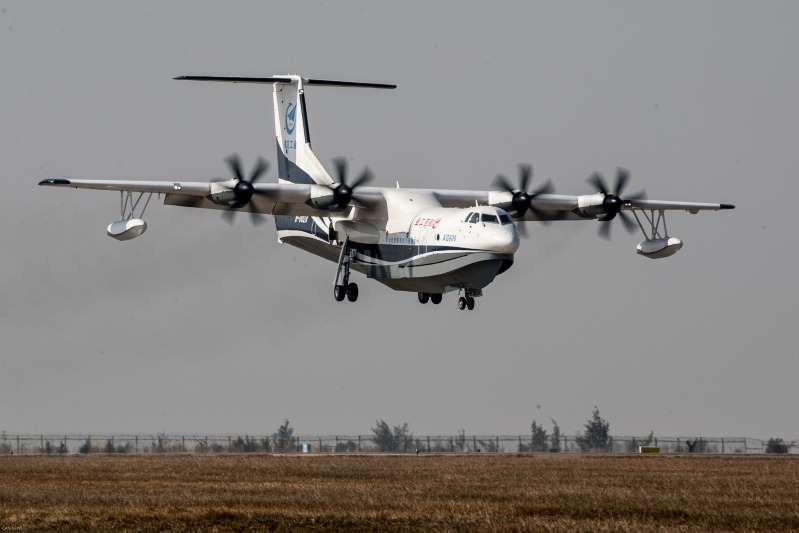 During the testing in Hubei province, the aircraft was put through a series of water maneuvering and low-speed flight tests, according to the Associated Press. Experts suggest that it could be used to move troops and equipment into the disputed South China Sea, where China has built militarized outposts armed with various point defense systems, jamming technology, anti-ship cruise missiles, and surface-to-air missiles. China even landed a heavy bomber at an outpost earlier this year.